Inspired by the outdoors, this accent chair is comfortably cool. We've combined sleek lines with purposeful angles fora modern take on a traditional classic. The distressed look of the wood frame and clean lines of the cushion lend to its outdoor feel. 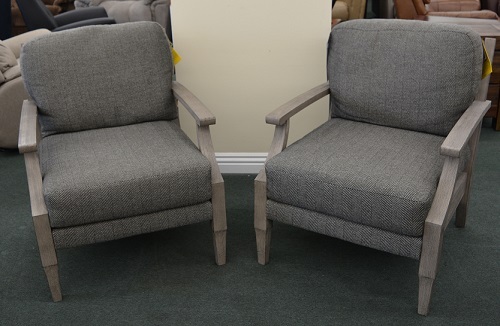 Available in over 700 fabrics and features a reversible seat and back cushion.